Episode 87 - A Muppet Christmas Carol and Christmas Extravaganza! Just in time for the holidays we have a Christmas extravaganza! We discuss the little know history of Christmas, revel in some nostalgia, and continue our ongoing series (of reviewing all the Star Trek and Muppet films) by reviewing The Muppet Christmas Carol! For Nerdy News we discuss two types of "Predators" and list all the genre shows that will be either renewed or cancelled in the new year. 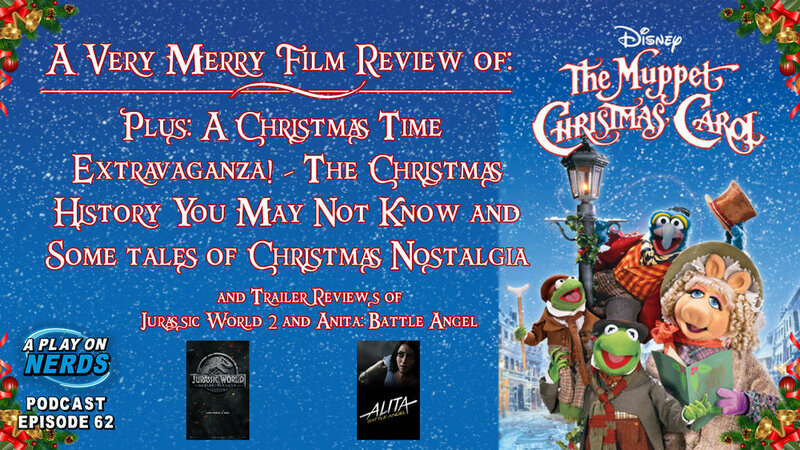 Then we have some toy trivia and some Radical Recommends before Trailer Reviews of Jurassic World: Fallen Kingdom and Alita: Battle Angel.